An important piece of safety equipment that is often taken for granted is the portable fire extinguisher. Many people walk by extinguishers without even noticing them. But fire extinguishers are there for an extremely important reason: to save lives. If your building or property's extinguishers are expired or become damaged over time, you are putting people at risk - and not mention the costly damages that you could incur in the event of a fire. So how long does a fire extinguisher last? Let's run through the facts. As soon as a fire emergency occurs, a fire extinguisher should be quickly accessed and used to minimize property damage and reduce the risk of injuries. Portable extinguishers should be readily available in kitchen or cooking areas, electrical panels or closets, rubbish areas, restrooms and other locations that could be at risk of fire. The bright red color along with prominent labeling helps personnel quickly find the extinguisher and use it to stop a potential tragedy. Unfortunately, like most pieces of equipment, fire extinguishers can degenerate, break, or become defective. There is a wide range of reasons why your extinguishers may need to be upgraded, and this illustrates the importance of getting your fire safety equipment tested and inspected. Dust and dirt build up – if too much dust and dirt accumulate on the extinguisher, nozzles and gauges can become clogged and malfunction. Rust and moisture – A humid environment can lead to premature rust, which can then cause important components to break or lock so that triggers or nozzles do not function properly. Vibrations – Areas that have heavy machinery or vehicles can cause excessive vibrations. These vibrations can loosen important components of the fire extinguisher, which can result in leaks or breaks. Bumping or dropping – If an extinguisher is not mounted properly, it could drop and cause problems with the tank or any seals on the tank. 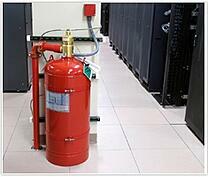 Also, if machinery or tools bump or hit the fire extinguisher, certain critical components could be damaged. Age – Over time a fire extinguisher can lose its charge, nozzles or hoses can become inoperable, and the unit may not be very effective in a fire. This is an especially important factor because if you're buying a new property, you usually have no way of knowing how old the fire safety equipment is. As a rule of thumb, extinguishers typically last 5 to 15 years. Poor quality – If you purchase an extinguisher that is not made from quality materials or certified by NFPA Standards, you are at risk for having a defective device that will not properly function in an emergency. Pressure gauge - The pressure gauge needle should always be pointing to the green area. This is an easy way to quickly assess your extinguishers. If it's not in the green, there is no guarantee that the extinguisher will function properly or at all. How do you dispose of expired fire extinguishers? This can be a tricky question for facility and property managers and owners. If a fire extinguisher is found to be damaged, defective, or broken, it is important to have the device repaired or replaced as soon as possible. For fire extinguishers that need to be replaced, the old unit should be disposed of in a way that the impact to the environment is minimal. Let's say you just purchased a historic, older building. If the extinguishers that were installed have not been updated, they may contain a carcinogen called carbon tetrachloride. This requires even more care in recycling and disposing of the device. Even if your extinguishers are newer, you should call your local fire department or fire extinguisher service company to properly dispose of them. You can even check with your environmental protection department to ensure that recycling and waste disposal laws are being followed. All locations with portable fire extinguishers should have a routine inspection process in place to make sure all devices are in working order. This isn't just a suggestion - it's a legal requirement under NFPA 10, as well as most insurance policies. NFPA 10 states that fire extinguishers must be thoroughly inspected, tested, and maintained. To make sure all of your portable fire extinguishers are operating properly in accordance with local fire protection standards, use an inspection service company that has professional knowledge and skills to find potential problems before they cause serious damage or injury. Fire code compliance exists to protect the lives of your tenants and residents and reduce the risk of fire damage for your business and properties. Download our free guide to New England fire codes here.